This is the story of growing up in a family of strong men and tough women. Sturdy Westerners attached to the landscape and their heritage in Salmon, Idaho. 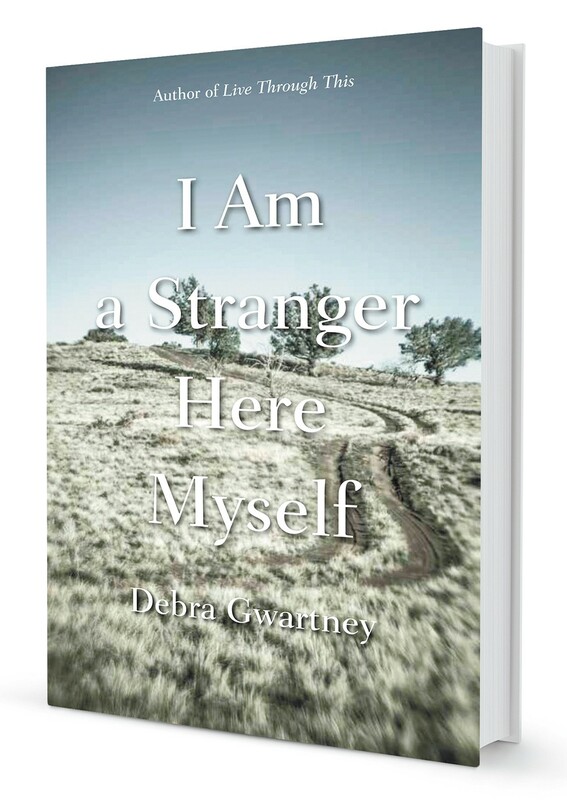 The title, I Am a Stranger Here Myself, is a not-so-subtle clue to the author's sense of alienation from that heritage, an emotional distance that drives the narrative. But Debra Gwartney takes a nontraditional path with her memoir, weaving a key figure in the history of the American West — Narcissa Whitman — into her own story, fusing memoir and history. It's an ambitious and tricky goal that leaves the reader wondering at times how the author can possibly make this work. Gwartney pulls the reader into her story on the first pages with a fluid and revealing opening as she drives along remote Highway 93 heading to a family gathering in Salmon. We get snippets of backstory through an imagined conversation with a truck driver bearing down on her. We want to know more. Soon we learn of her childhood interest in Narcissa Whitman, discovered after pulling a book off a grandmother's shelf. Then, suddenly, in a new chapter we are amid the gruesome massacre at the Whitman Mission, which ended with the death of Narcissa and 12 others, including her husband, Marcus. Gwartney has done her homework on Narcissa, the first Caucasian woman to cross the Rocky Mountains, and returns to her throughout the book, almost as an alter ego, the first woman to experience displacement in the rugged West. Leaving aside the history portion of this memoir, its strength lies in the author's honest appraisal of her early life as a lonely girl, a misfit who yearns to belong. Complicating her search for herself is a deep attachment to the landscape of home — the mountains, the rivers, the valleys, a place she knows "about as well as the lines of my face." Gwartney deeply experienced the place, but not the culture. She writes that she never shot a gun or aimed an arrow and had little use for horses and whiskey. She captures this dramatically in the book's most memorable scene, a family midsummer outing on the swollen Salmon River. All her life, she'd resisted joining others on rafting trips and endured the teasing that went along with those refusals. Finally, as a young mother of two girls, she decided to give in to the family tradition. Here she makes the most poignant connection to Narcissa, whose 2-year-old daughter Alice had drowned in a river near the mission house in what is now the Walla Walla area. Readers like me, who have rafted the Salmon or its Middle Fork with equal measure of thrill and fear, will relate to Gwartney's experience. Father, grandfather and brother, all experienced boatmen, enjoyed the sunshine and beer until debris in the high water spelled trouble. Gwartney writes the terrifying details of spilling into the water, struggling, finally feeling solid ground, and waiting to be rescued. Mindy Cameron is a former editor at the Seattle Times who now lives in Sandpoint. She can be reached at mindycameron@gmail.com. The original print version of this article was headlined "Finding a Way Home"